How to acknowledge ANZIC-IODP in your output. We’ve had some enquiries recently about how to refer to ANZIC-IODP support for publications, data entries and in presentations, so we thought we’d give an update to the wider community as research continues in earnest. We are now in the third phase of ANZIC funding and it is, therefore, important to link your acknowledgement to the appropriate ARC LIEF grant in the citation section below. Voyage support: We thank the International Ocean Discovery Program (IODP) and the Australia-New Zealand IODP Consortium (ANZIC), which enabled [your name or initials here] participation on Exp [Exp # here]. ANZIC is supported by the Australian Government through the Australian Research Council’s LIEF funding scheme [Relevant LE# here] and the Australian and New Zealand consortium of universities and government agencies. 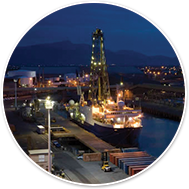 We thank the International Ocean Discovery Program (IODP) which provided the samples, and the Australia-New Zealand IODP Consortium (ANZIC), which provided Post-Expedition funding for this study. ANZIC is supported by the Australian Government through the Australian Research Council’s LIEF funding scheme [Relevant LE# here] and the Australian and New Zealand consortium of universities and government agencies. We thank the International Ocean Discovery Program (IODP), which provided the samples, and the Australia-New Zealand IODP Consortium (ANZIC), which provided Legacy/Special Analytical Fundingfor this study. ANZIC is supported by the Australian Government through the Australian Research Council’s LIEF funding scheme [Relevant LE# here] and the Australian and New Zealand of universities and government agencies. It is important to acknowledge ANZIC and IODP support and refer to ANZIC ARC LIEF funding in the with reference to the appropriate LIEF grant. 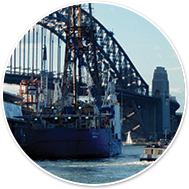 You are also encouraged to include the ANZIC and IODP logos. Please make sure that you have the correct logos for both, i.e. the logo text should have the word “Discovery” not “Drilling” in the illustrated text. Copies of the logo can be provided by the ANZIC administrator, Catherine Beasley.